One particularly bold accomplice named William Sovel bailed himself out and promptly raced the motorboat out of the harbor. No less than 20 police and Coast Guard boats were scrambled for his re-capture. The fugitive was soon sighted by the tip of Cape Cod and given chase, leading his pursuers into Provincetown Harbor. By the time the bootlegger’s abandoned boat was discovered on the shore, Sovel was long gone. Thankfully, such extreme measures are no longer needed to get a bottle of rum in Cape Cod. All that’s required is a short drive from Provincetown to South Hollow Spirits, the first rum distillery to open on the Cape since prohibition. South Hollow Spirits is inextricably linked to Truro Vineyards, which sits on a postcard-worthy slice of land outside the village of Truro. The vineyard was founded in 1992, but the site’s history spans centuries. The white clapboard Federal House that today serves as its office and gift shop was built in 1813, and painted by Edward Hopper in 1930 (he later returned to paint the barn, too). In 2007, former United Liquors CEO Dave Roberts purchased Truro Vineyards. It became a family business as Roberts was joined in the venture by his son Dave Jr. and daughter Kristen. The trio co-founded South Hollow Spirits in 2012; Dave Jr. also serves as its distiller, and Kristen as its CFO. The distillery itself sits on a tidy 2,000 square foot space and meshes seamlessly with the surrounding aesthetic. Featuring white clapboard siding and two peaked gables, it could easily be mistaken for just another Cape Cod cottage—if said cottage contained a 250-gallon Vendome still and hid 40 barrels in the attic. Dry Line Cape Cod Gin from South Hollow Spirits. Today South Hollow produces eight spirits including white, amber and spiced rums, three gins, and two limited rums finished in either red or white port barrels. Both the rums and gins are fermented from organic cane juice or organic molasses. The gin is dubbed Dry Line, while all of the rums carry the name Twenty Boat—a reference to William Sovel’s bootlegging exploits in the region. The distillery is connected to the wine world in more ways than proximity. The majority of the amber rum is aged between two and three-and-a-half years in once-used chardonnay barrels built from Hungarian oak. Prior to bottling, the chardonnay barrel-aged rum is blended with a smaller portion of rum aged for the same time in charred American oak. According to Dave Jr., this method prevents the bolder American oak from being too influential. A choice of barrel is not the amber rum’s only division. About 60-70 percent of the rum starts as molasses, while the rest is sugar cane juice. These bases are fermented, distilled, and aged separately. Though the amber rum comes off the still at 160 proof, it’s proofed down to 115 before barreling. Dave Jr. believes that this below-average number has benefits. “We extract some very sweet, sugary tannins from the oak by going in at a lighter proof,” he says. Another link to the vineyard side is the production of their gin, in which botanicals are steeped using a wine press’s juice tray. 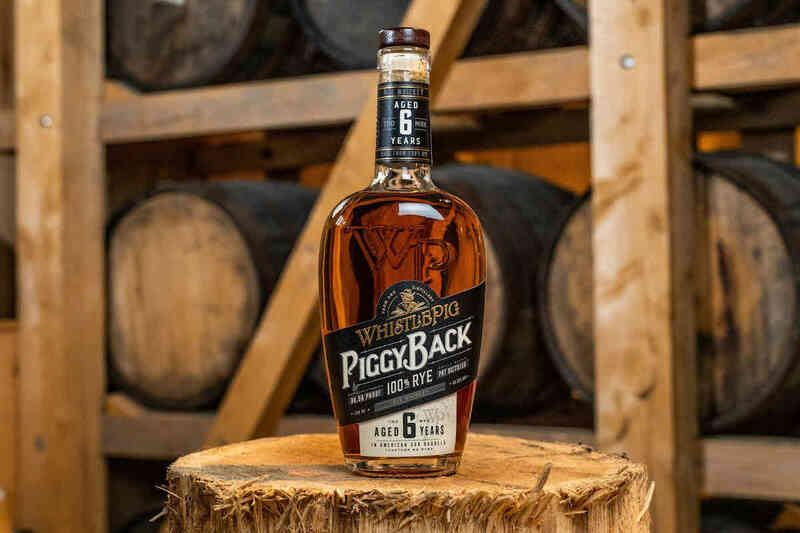 The cask-finished rums are the outgrowth of a vineyard project. “We used to blend our chardonel with our chardonnay, and then our winemaker said why don’t we make a white port with our chardonel and barrel it,” Dave Jr. says. Afterward, he noticed that the chardonel pushed out a viscous, honey-like sap from the barrel. “I tasted it and I was like, ‘wow, that’s fantastic. If I could get 100 gallons of this I would ferment and distill it and see what it tastes like.’ My second thought was if we aged rum in this stuff, it would be unbelievable,” he says. Both the molasses-based and cane juice-based amber rums were added to white and red port barrels. The aged rum was finished for about four to five months in the white port barrel, and a bit longer in the red. Dave Jr. saw a clear difference in the two finishes. The first batch produced 275 bottles of each; the second batch was filled this past May. 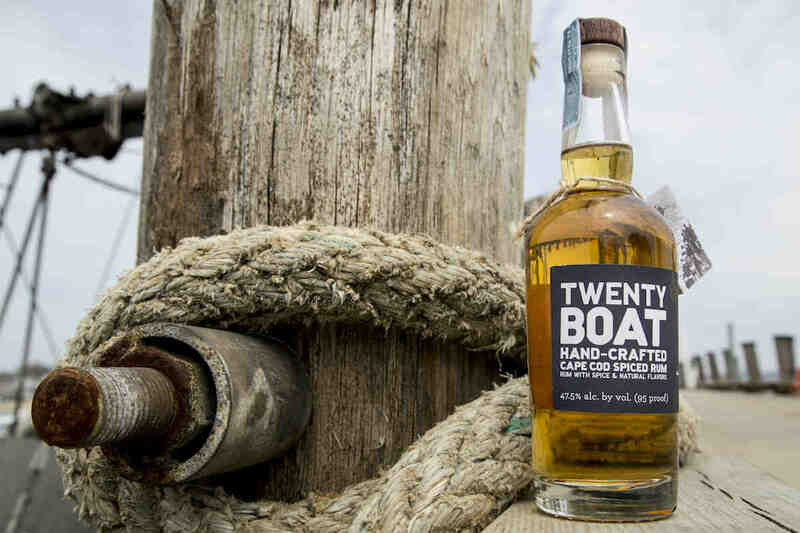 Twenty Boat Spiced Rum from South Hollow Spirits. South Hollow began producing spiced rum in 2014, when the words were most closely associated with a certain captain and his less-than-natural production methods. By contrast, South Hollow makes their spiced rum by steeping spices such as cardamom, anise, and allspice sourced from the nearby Atlantic Spice Company into a blend of molasses-based and cane-based rums. Each mesh bag is tied off with twine, and bobbed and stirred daily to ensure maximum extraction. After three weeks of steeping in stainless steel tanks, the spices are filtered out and the rum is bottled at 95 proof. South Hollow happily complied, as evidenced by the long list of spices printed on the bottle’s side. While rum has been the primary focus of South Hollow since its inception, recent and future releases will broaden its scope. 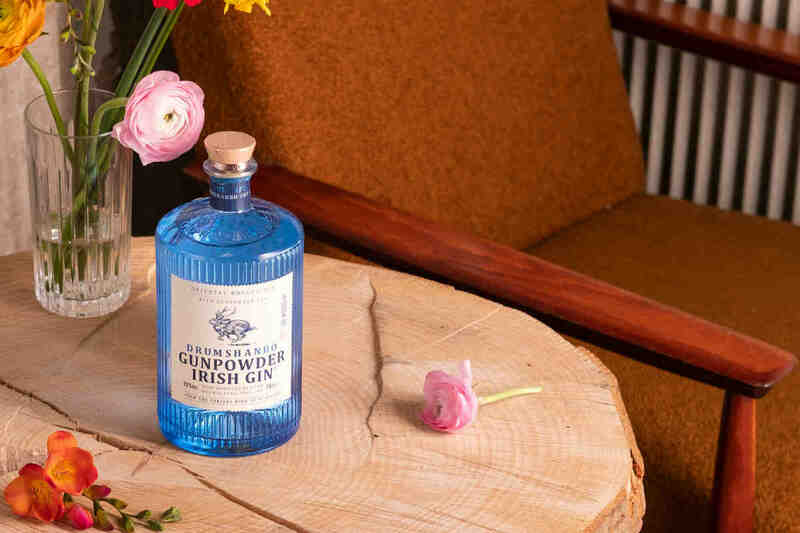 The summer of 2018 saw the debut of a rosé gin made by blending Dry Line with Truro Vineyards wine, and the limited release of a barrel-finished gin. Construction on a new barrel room that could hold 200 barrels is expected to begin in the fall. The five-fold increase in storage capacity may allow them to experiment with other spirits, including whiskey and fruit brandies. Just don’t mistake South Hollow for being some sort of sterile spirit-laboratory. 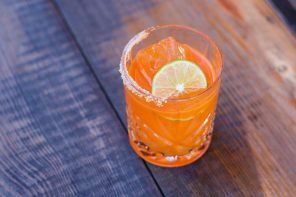 The atmosphere at Truro Vineyards is something closer to a block party: a toolshed-sized bar dubbed “the Hollow” distributes Painkillers and G&Ts, and an on-site food truck dispenses lobster rolls. In peak season, the vineyard sees 80 wine tastings per hour and the distillery side up to 20. The threat of rain only increases crowds. 1 Comment on "South Hollow Spirits Brings Rum Back to Cape Cod"